Come Enjoy Meadowlake Golf Course! When you come play Meadowlake Golf Course you will enjoy some great Oklahoma golf. Whether you are aiming to improve your game or simply savor a day away from the office, our course is perfect for you. Our idyllic settings will let you step away from life for a little while and focus on your golf passion. You will be able to test your skill set with our tree lined fairways, numerous water hazards, outstanding greens, and tactically placed sand traps. Once you come and experience the course you will want to come back time and time again to challenge your game! When you come play Meadowlake Golf Course you will thoroughly enjoy our professionally serviced facilities. 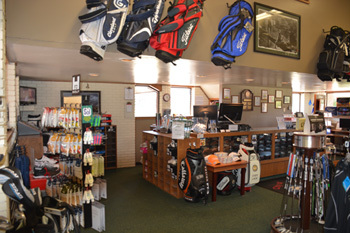 We feature a quality pro shop with an assortment of the latest golf gear and have a delicious restaurant open for breakfast, lunch, or just for a snack or drink. You can hang out before or after your round and watch the golf or other sporting events in the clubhouse with a beverage of your choice! If you have been wanting to perfect a part of your golf technique, come practice on our driving range or other practice areas. Meadowlake Golf Course has a friendly, welcoming staff that is committed to providing you with customer service that will make your golf visit memorable.